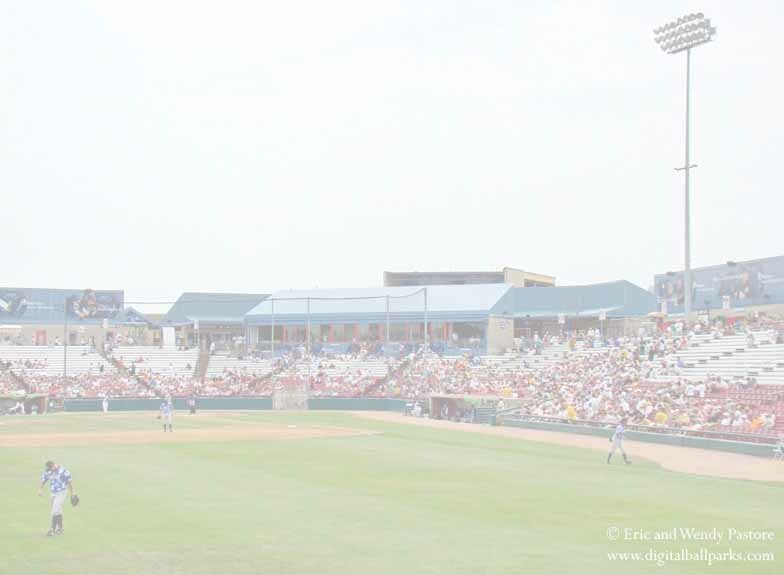 Geneva Illinois has been home to professional baseball since Elfstrom Stadium was built in 1991, after the Midwest League moved its Wausau team to Geneva... the closest affiliated baseball team to the Chicago city limits. These photographs were taken during Jimmy Buffett day so the uniforms reflect the "parrot-head's" hawaiian style outfitting. (Free samples of rum were a nice touch). The Kane County Cougars originally began as a farm team for the Baltimore Orioles from 1991-1992 before switching allegiances to the Florida Marlins for 10 years until 2002. In 2003 the Oakland Athletics took over the ballclub and have been the featured team since. It is quite surprising that the closest affiliated stadium to the Chicagoland area has never featured a Chicago affiliate. Elfstrom Stadium has produced quite a number of future big league stars since it opened including: Dontrelle Willis (10-2, 1.83), Miguel Cabrera (19 2b, 7 HR, .278), Antonio Alfonseca (6-5, 4.07), A.J. Burnett (10-4, 2.97), Luis Castillo (41 SB, .326), Adrian Gonzalez (37 2B, 17 HR, 103 RBI, .312), Ryan Dempster (2-1, 2,73), and Josh Beckett (2-3, 2.12). Plans have been laid to expand this ballpark significantly between 2009 and 2010, adding a 2nd deck over the current concourse and bringing a whole new feel to this ballpark.